At the 18th European Conference on Digital Government (ECDG) in Santiago de Compostela (Spain) at the end of October, the Digital Government Excellence Award was presented. The award went to projects that are not only convincing in theory, but also work in practice. Out of 10 finalists, two were awarded at the end. 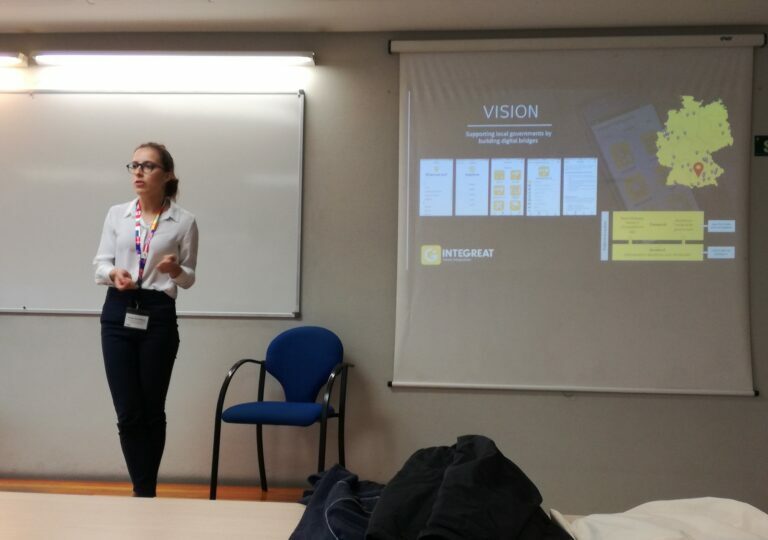 Janine Rosenbaum not only presented Integreat on site, but also discussed its content in depth with local network partners. Their research, which presents Integreat as an ecosystem for refugees, was awarded the Digital Government Excellence Award mentioned above. In addition to Integreat, the OpenTransportNet project of the European Union also convinced the jury. In the near future we will also publish the conference publication on our website. We would like to take this opportunity to thank the TU Munich for the successful cooperation over the past three years and look forward to continuing to develop innovations and solutions together with the Chair of Business Informatics at the interface of research and business.